I made a execution mistake today. 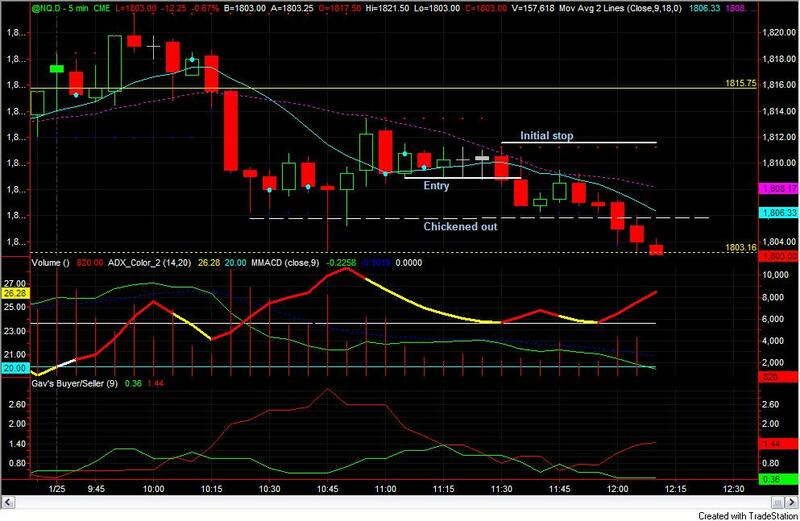 Short below the low of 1130am candle. Initial stop set above the high of trigger bar. Trailing stop plan was not executed. Very poor execution.